Apparently everything was fine, but it was really ironic that the fall of Valk came from a person that I wouldn't imagine… after months of watching over anything and anyone. It started when Kinorana, a new member arrived at Valk. He was quite strange and I even began to think that it was mistake to invite him. He even fooled us into thinking he had griefed Valkyria. 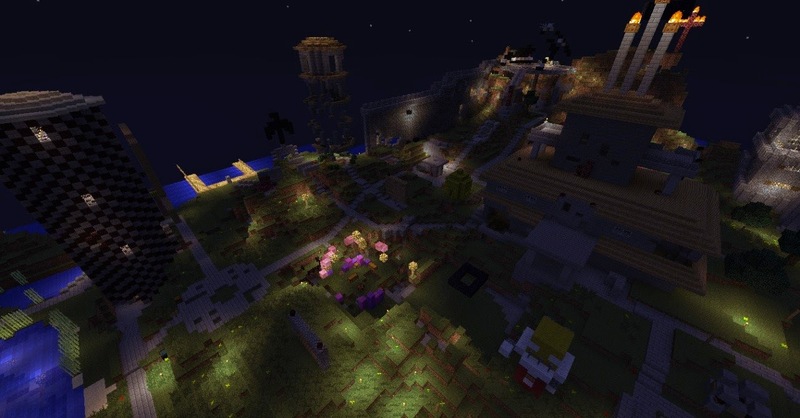 He downloaded the chunks and griefed it on single player, took the screenshots and showed them to us. I wasn't at the base when he did that so I couldn't confirm. He apologized to me and so I let that pass. Then in just one week, Kinorana brought to us the new dupe. He didn't just share with us everything he was duping, but also taught us how to do it. It was a great advance not just for us, but also for the base. We could have more building blocks and more resources. But then started the problem with Drew and Kino. It all began because an armor set disappeared from one of the chests. The people blamed drew for it. And since Kino was always trying to hurt Drew and to keep him away, Drew isolated himself from me and Pyro. And the more friendly we became with Kino, the more unfriendly and distant Drew was becoming. But that was a reason why people blamed drew for it. There were 3 fire accidents on the base. 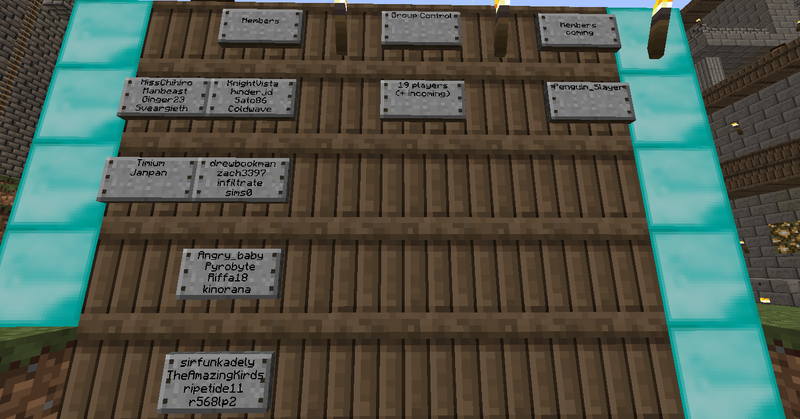 1 on some wool decorating a wall and 2 burnt houses - Angry_baby's house and KnightVista's storage. In all those 3 cases, the only witness of what happened was Drew. And regarding the cause, he always answered that it was the “Lightning”. But there is a problem with the lightning fire and its that the rain always put it out before having chance to start a big fire. If it wasn't for that, jungles biomes would suffer constantly from raging fire. “I am going to keep pretending that I am blind and you're gonna keep pretending that you are a good boy” I remember saying after the third accident. Drew was the first base mate I had. 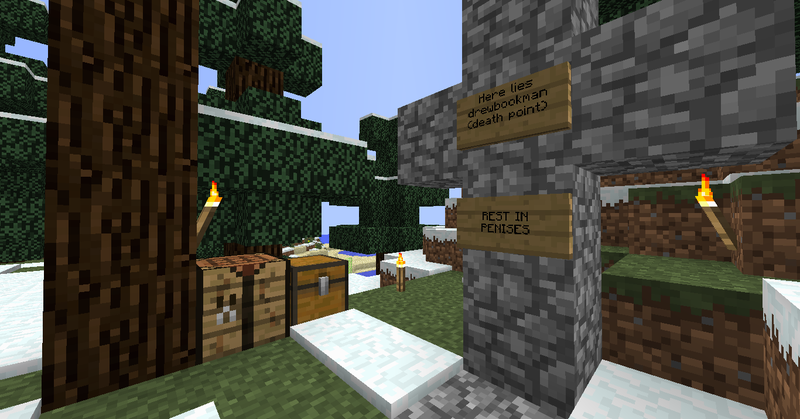 He was the first person I met on 2b2t, and so even after all this I still continued to defend him and his innocence. The 3 places that got hit by fire. Not in the same day and not at the same time. 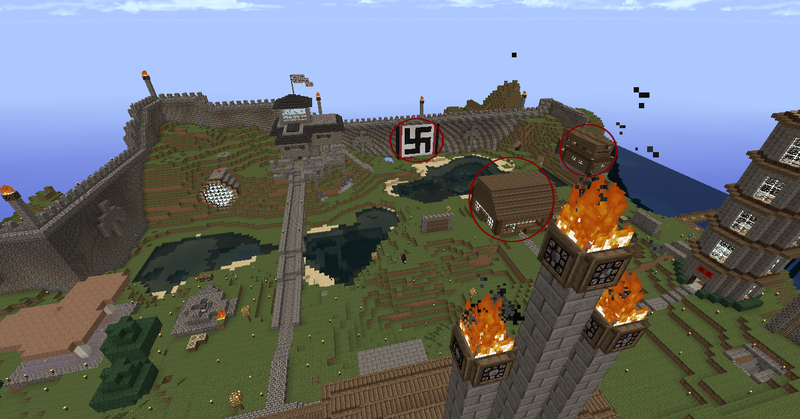 After this, we decided to make the First Spawn Incursion. Most of the members of Valk - now with God equipment - would travel to spawn and take over it just for some days, killing people and exploring its glory. We actually killed a few withers that were spawned there. We decided then that the best place to group would be at 2k2k. An old Facepunch base that was griefed several times. There Drew committed a new stupid act, by killing Trodam, a person we met there, that we didn't consider as a threat to us. Yet Drew, ruthless, slayed him and burnt his stuff in front of all of us. At this point, I couldn't defend Drew any more. He just walked away from 2k2k after. Trodam returned and we tried the best we could to help him. 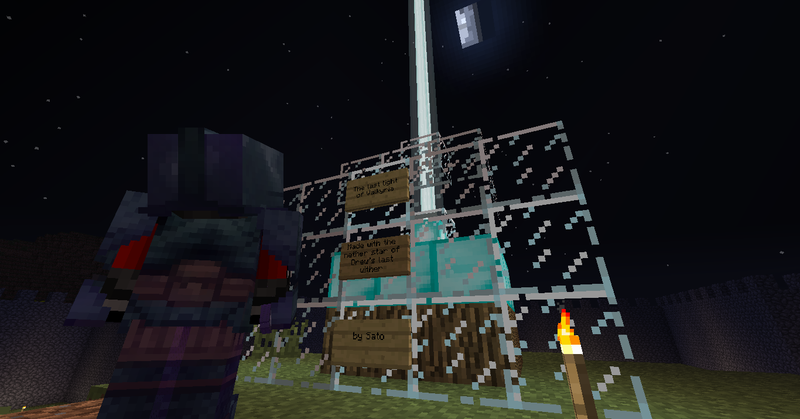 We also put a beacon at 2k2k and built a nice small farm. Everything was going okay. But then at night, when most of the crew had left 2k2k or had logged off, a person came and killed Trodam and stole our beacon. That was BAHSAHKAH (Jacktherippa alt). I only had time to log on to see him running away. Me and Pyro tried to follow him in the nether, but he escaped. And when even Pyro wasn’t online anymore, he returned to 2k2k. I saw him with my radar. He was underground, probably coming to see if he could steal some more or maybe he was expecting to find me there and to have a fight. It was what happened. I ran at the underground with my Glaurung to slaughter. And he waited for me, holding his Arondight. Between those pillars we exchanged hits and cuts. Both with the possession of golden apples. Yet I couldn't win. A fair and enjoyable fight that actually made us to become friends months later. Of course, I re-spawned close to Valkyria. At a secret place. A few days later… It happened. Several buildings in Valkyria were damaged by TNT and fire (including the walls) and 5 withers were spawned during the night. I was at Anatolia when it happened finishing the tower project I had started but hinder and Coldwave were at Valk. They killed 4 of the 5 withers and tried to find out who did it. I, suspecting Drew, started to talk with him in chat. He said he wanted to make a new base and that he also had the perfect coords. But I ended up getting more from him. This griefing purpose was to spread paranoia to everyone. He confessed to me. He said he wanted to break the group apart. Shatter the crew and return the way it was before. I got a mixture of rage and sadness. I felt anger and pity for him. He then apologized for having disappointed me. I accepted his apologies and forgave him. But I was only speaking for myself. Not for the others. He actually was stupid enough to share his coords with hinder…before confessing. Hinder went there with Coldwave and Zach. Drew tried to run away but they ended up getting him. He tried to fight, but Drew was overwhelmed. He was killed and his duped stash was burned down together with his secret house. When I then had the opportunity to return to Valkyria, I found a lifeless place. All the buildings had received damage. The torches that once lit up the place were taken. 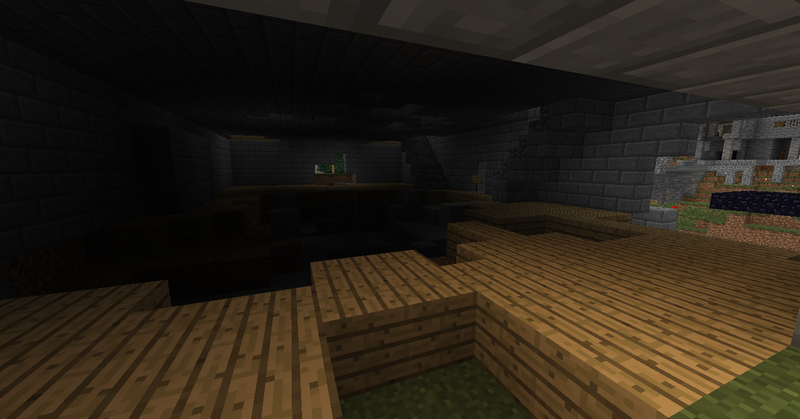 Darkness and mobs were under control of most of our beloved houses. I left the base shortly after to never return. Got everything it could be useful and went to the portal. I would like to extend a big thank-you to Sato86 and all the guest posters for their fantastic stories and contributions!